All of the above courses are related to web design. If you don't know which ones you should take or where you should start just give us a call. Based in Hammersmith we have been IT training in London for over 5 years now. Coming from our roots back in Cambridge and having already trained numerous companies in that area, we are now eager to do more IT training in London. London is international, there's no getting away from it. 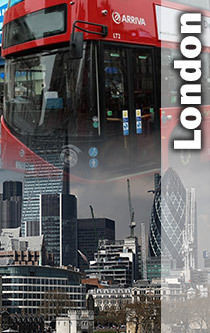 No wonder IT training in London is one of the largest areas with this business capital. Now it is true that many find YouTube a great source for hints and tips. Many even check out various Online IT training courses and videos to get them up to speed with a particluar software application. However I'm sure you would agree, that the very best way of learning and absorbing information is to have someone show you. Someone who understands your IT training requirements. Somebody who can point out where you're going wrong. A trainer that can iron out all your computer wrinkles by showing you a better way. A faster way. A way that won't back you into a corner leaving you wishing that you'd done it differently. Presently the most convenient IT training location in London is in Hammersmith. However we can use anywhere that is convenient to you. From local offices in central London, to a training room in the east end of London. How can an computer course in London help me? Use a London training centre to learn how to do formulas in Excel. Or maybe let us come to your offices and help you create a database for your company. Help us get your company up to speed with Photoshop. Or maybe let us come to your offices and help you redesign your web site using Dreamweaver. Have a look through our IT training London courses to see which one is right for you. Then Fill out the enquiry form or simply call us freephone on 0800 158 3588 and we can discuss your requirments, making sure your London Training course is perfect for you. We also have a brief case study for you to review along with some testimonials from other companies we have provided training for. 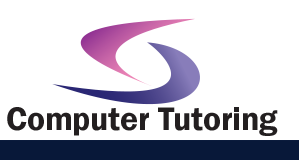 Besides offering IT training courses in central London, we also provide IT training in these west London locations. Heathrow, Chiswick, Kensington or Hammersmith and Fulham. Thinking of IT training in London? Try a taste of our testimonials! "Great, well pitched, good pace - very useful"
"Very well taught, made it easy to follow... feel confident that I will be able to use this quite a lot"
"Very informative... I am confident with Excel now"
"Well done... understood concepts & enjoyed practice session" "Fantastic trainer, I feel so much more confident in Excel. Exceptional delivery" "Excellent... a good use of time"
"Very helpful, a lot learned and very useful tips for future use"
That's right! If you look carefully at the background image, you can see that we managed to get a picture of Big Ben before the scaffolding. Good Job!